What is the Best Candy for Halloween or Just for Snacking? Whether it is Halloween, or just a quick treat to add some sweetness to your day, we love pick and mix candies because they are easy to keep but delicious to eat at any time. However, not all bite sized treats are created equal, some are fantastic while some are just downright bad and of course it all varies from person to person. For example, one very controversial flavour is that of black liquorice which people seem to either love or hate, with no one in between and very few people changing their minds about it. So without further ado, here are the top 5 candies to love. These fantastic fruity squares are delicious and smell great, but they also do a good job of not getting stuck in your teeth like some other candies. The individual wrapping is great and makes each starburst feel like a real treat, plus it is great as a party trick to unwrap one in your mouth. There are many flavours and it is always a surprise which one you will get and makes things even better when you end up with your favourite one. “Taste the Rainbow”. One of the most famous candy catchphrases, Skittles also has one of the most successful ad campaigns. 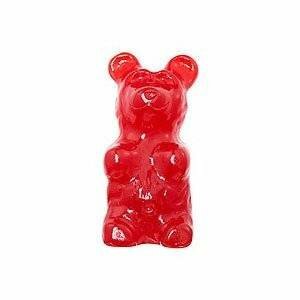 The chewy fruit flavoured candy with the hard shell go together to form different flavours in your mouth. They also stick together really well and can form a giant flavour ball in your mouth. With Wild Berry and Tropical flavours in addition to the original you can choose whatever you are in the mood for. There is just something special about the consistency of Swedish fish. Though they are soft on the inside, they have a very slightly harder outside though they are still different from jujubes and won’t get stuck in your teeth and aren’t hard. This special outside is what really makes these gummy candies an awesome pick. Just watch out if you happen to find a black Swedish fish, as these are the so called “salted herring” flavour with the Salmiak or tongue numbing salty liquorice flavour common in Nordic countries like Sweden. Chocolate just makes everything more delicious, while adding the different textures and flavours of foods to compliment chocolates sweet delicious flavour makes both food better. Much of the time, a filling is used to either add a different texture, such as crunch, to the chocolate or to add a different complimentary flavour, such as an orange flavoured crème filling, to make a delicious treat. Whether it is nuts, pretzels, crèmes, toffee or even bugs, adding chocolate makes it better. This giant version of a bite sized favorite is even better than the original. Plus it is super cute! Most of us love a sweet treat, but remember that too much processed sugar isn’t good for you in the long run. Sticking to a healthy diet with lots of whole foods most of the time is the way to go, but every now and again it is great to indulge your sweet tooth. Do you have a favourite bite sized snack? Like you say I am one of the ones that love anything with Licorice. Have not heard of some of the others though. I am terrible I just love lollies (sweets) and have to remind myself not to buy too many ha I wish, that does not work.